A major show during January/February each year drawing entries from the whole country and is a red letter event every year. Honouring British soldiers killed in the Anglo-Boer War. Home of the famous author and feminist who wrote Women and Labour, the house now serves as a restaurant. These can be seen on the farms Nooitgedacht, tel 053 631 0241 and Brandfontein, tel 053 631 1245. A well established Paragliding School not only offers a thrilling bird’s eye view of the Karoo landscape, but hosts regular events attracting local and international paragliders in search of world long-distance records, for which the local conditions are suitable. 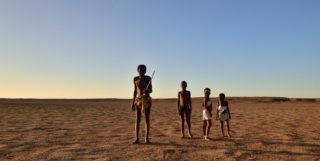 To date, more than half of the world’s long- distance records have been set in De Aar. Visitors welcome. Tel 053 631 1053 for appointment. Boutique Guesthouse’s hospitality promises an experience second to none.We offer the traveller a unique decor experience and trendy atmosphere that will invigorate your soul and renew your mind. De Aar's first Guest House, established in 1994. Managed and owned by a dedicated and passionate lady making it her top priority to make you feel at home. 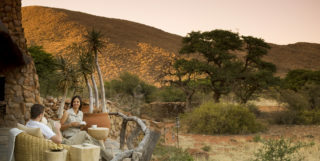 De Herberg Lodge is situated in the Karoo, between the N12 and the N1. De Lange Guesthouse is your home away from home, offering more than 30 rooms equiped with DSTV, air-conditioning, tea and coffee facilities, electric blankets, microwave and a mini fridge. Very comfortable Guest House with nice huge rooms within walking distance from town centre. Located just off the N1, halfway between Johannesburg and Cape Town. 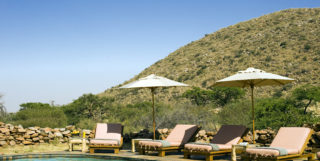 Affordable Karoo accommodation with friendly service that will let you feel at home. Luxurious Guest House is a close corporation registered as required by law and originally formed by one member who is highly professional and with values. 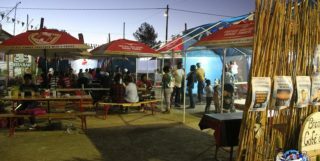 Mike's Lodge is situated in the Northern Cape in the small Karoo town, De Aar. Your hosts, Mike and Noeline, are renowned for their hospitality and offer you quality accommodation. Obrigado is a luxurious, six bedroom guest house.